Modesto CA – Sheriff’s Detectives, with the assist of patrol deputies, were able to arrest two suspects in the murder of Jacob Sutton-Bubeck (Cheddar) whose body was found buried in the backyard on a home on Santa Rita Avenue in Modesto on Saturday (11/24) afternoon. 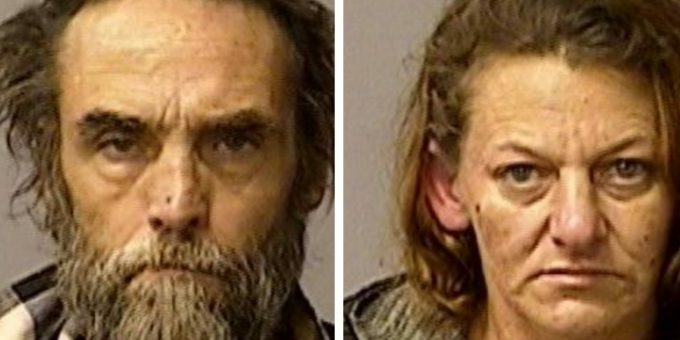 Robert Wiswell (53, Modesto) and Rebecca Garcia (44, Modesto) were located in the area of Reliance Street and East Glenn Avenue in Modesto at just after 8:00 PM on Friday evening (11/30) where they were taken into custody without incident. Wiswell, who is also known as “Animal”, and Garcia, were both booked for Murder and Conspiracy to commit murder at the Public Safety Center. Brown is not releasing specific information regarding the manner of death or evidence found at the scene in the hope that additional witnesses will step forward with additional information now that the suspects are in custody and they can corroborate the evidence found at the crime scene. Brown had previously requested that anyone that who had lived at the home or stayed at the home in the past year would contact him so that he could gather statements. Several people reached out to detective Brown and confirmed that during the time period that Sutton-Bubeck went missing that Wiswell and Garcia were living in a shed in the backyard of the house on Santa Rita. Sutton-Bubeck’s body was found in the area where there had previously been a shed that Wiswell and Garcia were living at the time of the murder. The shed was taken down shortly after they moved out and Sutton-Bubeck’s body was not located until 11/24 when a resident discovered it upon trying to bury a family pet who had recently died. If anyone had information regarding this case, they are encouraged to contact Detective Cory Brown at (209) 567-4485. Sergeant Tom Letras will be available this afternoon from 1:00-2:00 PM at the Sheriff’s Office at 250 E. Hackett Road in Modesto for interviews. He will not be available again until Monday. Please call (209) 567-4401 or email tletras@stanislaussheriff.com to confirm any interviews today at the above time.